emotional issues, including grief, loneliness, stress, infertility, relationship issues, depression and trauma. Liz Toms has specialized in couple counselling and helping people adjust to major changes in their lives, such as bereavement and mid-life crisis. 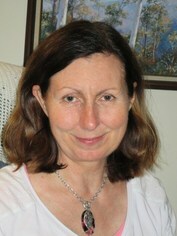 Liz Toms is a facilitator of change, encouraging people to live life based on life-affirming choices. She recognizes that everyone experiences times of feeling tired, wounded, hurt, defeated, or emotionally stuck, with many unanswered questions. She guides spiritual growth so people discover meaningful beliefs and values that they need to grow for more intimate relationships and she encourages each counsellee to develop his or her strengths, gifts, and abilities to their greatest capability. As each session is enriching and stimulates emotional awareness and a search for answers, there is more benefit to be gained over a longer period of time. Encouragement and educational support help equip people to practice new skills, gain new perspectives and explore thought processes with renewed clarity of mind. ​Find out the answer to: What does Christian Counselling offer people?